If there is a stage in life when I used to be a party animal then it has to be my teenage years. It would take a miracle for me to stay at home during a particular weekend. The common routine was drinking all night and getting two hour sleep the next morning and then it was back to drinking again so as to kill the hangover. It was very hard to make solid progress since my protein shakes were replaced by alcohol and rarely did I get a chance to have a descent meal apart from snacks and fast foods. It took me a long time before I was able to achieve bodybuilding progress but as soon as I changed my lifestyle, I managed to realize bodybuilding progress. 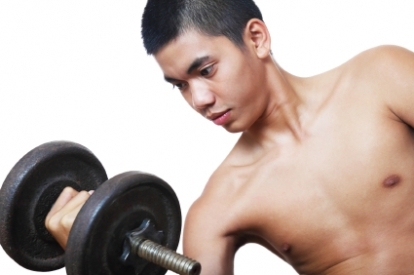 As a teenager if you do not use proper techniques in your training you will not be able to transform your body and succeed in bodybuilding. The use of proper techniques during training is what separates the failures and the winners in bodybuilding. The proper techniques to use include the use of compound movements and the use of progressive resistance training. Squatting exercises are a very good example of compound movement exercises. As a bodybuilder you need to focus more on compound movements because they train more than one muscle group at the same time as compared to isolation movements. Overtraining leads to injuries because they reduce the overall strength of your body. You cannot increase your body mass if you consistently over train. This is because overtraining slows down the recuperation of the nervous system as well as the muscles. As a teenager your hormones are at there highest level and that is why you are likely to be destructed by the beautiful ladies in the gym. It is very hard to focus as a guy and there is a hot looking babe next to you. There are plenty of other distractions such as your phone and other electronic gadgets. If you do not focus while you are in the gym you could end up seriously injuring yourself. If you do not have a proper nutritional plan then there is no way you are going to succeed as a bodybuilder. Nutrition plays a major role when it comes to muscle building. There are certain foods which are a must for bodybuilders. They include carbohydrates, proteins, vitamins and healthy fat. Many teenagers think they can be able to conquer the world in one night; however you need to remember that Rome was not built in one day. Rest is really important when it comes to stimulating muscle growth. This entry was posted in Bodybuilding and tagged Beginners, Muscle Building For Teenagers, Overtraining, Teenagers, Teenagers Bodybuilders, Teenagers Bodybuilding, Workout For Teenagers. Bookmark the permalink.